While most of us know the chiropractor is a great choice for treating back, neck and hip pain, chiropractic care isn’t just limited to aches and pains. As more and more people look for non-pharmaceutical options – treatment options that offer more than simply medicating the symptoms instead of addressing the problem – it’s good to know that chiropractors can help in other ways. Here are 10 conditions you (probably) didn’t know the chiropractor could treat. It can be stressful when children wet the bed, especially for older kids who feel like they should have outgrown the habit. There’s a psychological burden for the child, and it’s no fun for the parents, either. But how can chiropractic help? Removing spinal subluxations to address what’s called the phrenic reflex is the answer. An adjustment can often provide instant results, while in other cases, a few treatments may be needed. Speak to Dr. McSweeney if bed wetting is an issue in your house, and she’ll be able to offer her recommendations and treatment suggestions. Overuse or aches and pains resulting from your sport of choice could be impacting your performance. 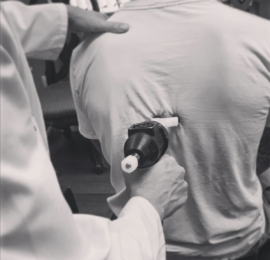 Asthma can’t be cured, but a clinical study with asthma patients showed improvement in their symptoms following chiropractic care. Really! Neck adjustments can help your body more effectively drain fluid from the middle ear, reducing the risk of infection. Because it causes an increase in the body’s production of melatonin, chiropractic care can improve the quality of your sleep. Spinal alignment allows the nervous system to work seamlessly with the immune system, creating an optimal response for the body to heal appropriately. Regular adjustments have been shown to boost this coordinated nervous system/immune system response. Most headaches are the result of stress on the body. Chiropractic adjustments relieve pressure on the body, which means fewer headaches. Your chiropractic can offer relief from pain and other symptoms with soft-tissue techniques. Chronic fatigue syndrome, fibromyalgia, even muscular sclerosis can respond surprisingly well to consistent chiropractic care. Since chiropractors work on all of the body’s joints, they’re a natural choice for this painful condition. There is no one-size-fits-all treatment option for many conditions, and if you’re experiencing aches and pains, fatigue, headaches, chronic ear infections, or any of the symptoms noted on this list, the chiropractor is a good first stop. Learn more about what you can expect at your first chiropractic visit with Dr. McSweeney, or schedule your appointment today.